Officials with the Made in Oklahoma Coalition (MIO) are happy to announce the recipes for the month of February. The recipes (listed below) include products from the following MIO Members: Shawnee Milling, Southern Okie, Suan’s, Hiland Diary, Griffiin’s, and more. Enjoy these tasty dishes. In a large bowl, mix together brownie mix, vegetable oil, milk and eggs. Stir until thoroughly combined. Fold in cherries and chocolate chips. Bake for 26 to 28 minutes at 350 degrees. 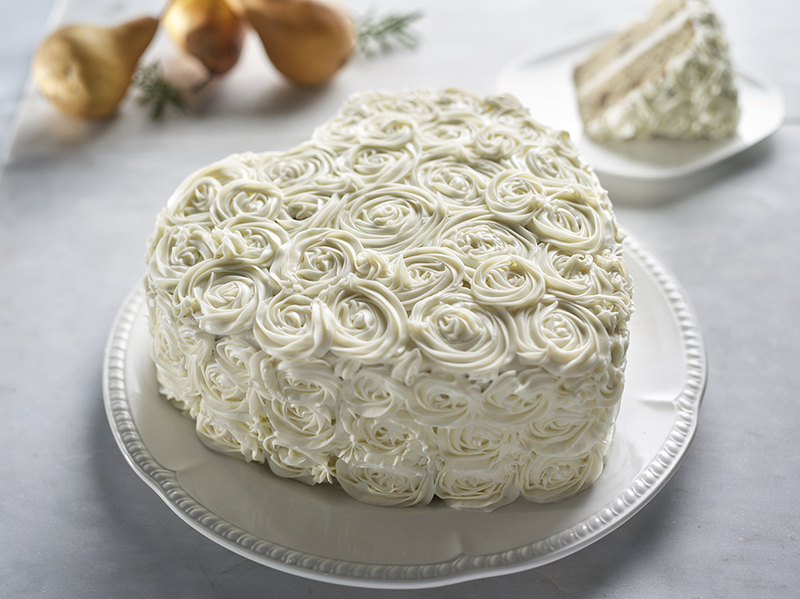 Let cool completely, then frost with marshmallow buttercream. Cream butter in an electric mixer until lightly and fluffy. Add half the powdered sugar, slowly mixing until combined, then mix in the remaining half. Add marshmallow cream and vanilla extract, mixing on low speed. Add milk to thin out frosting, adding more or less as needed. 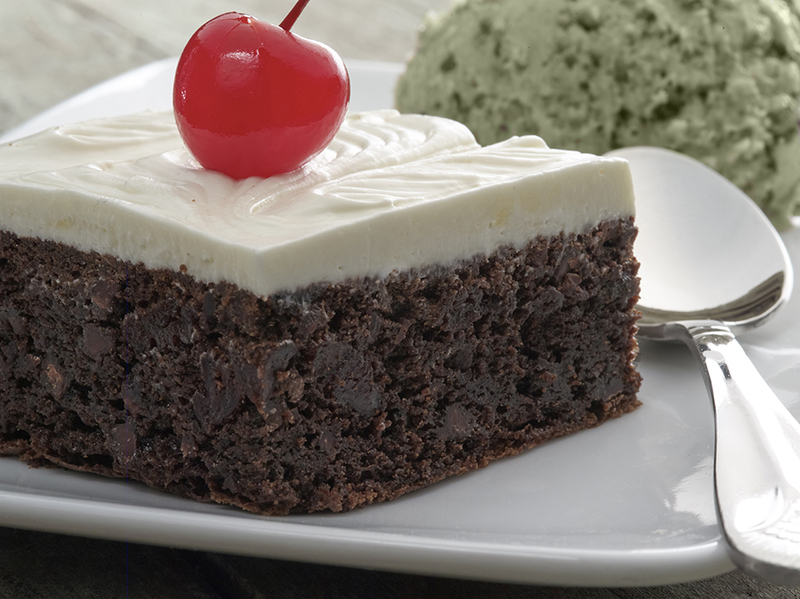 Serve with Dark Chocolate Billy Goat Ice Cream. Preheat oven 350°. Combine flour, baking soda, salt, granulated sugar, and cinnamon in large bowl. Add eggs and oil, stirring until dry ingredients are moist. Stir in 1-1⁄2 teaspoons vanilla, pear spread, pecans, and bananas. Pour batter into two greased and floured 9 inch heart- shaped cake pans. Bake for 25 – 30 minutes or until toothpick comes out clean. Cool in pans for 10 minutes; remove and cool completely. Mix all ingredients well, form into a loaf and place in baking dish. Bake at pre-heat 350 degree oven for 30 minutes, begin to baste ever 10 minutes with Suan’s® Basting Sauce until done, about another 30 minutes. In heavy sauce pan, cook until soft 1⁄2 cup chopped onion and 1⁄4 cup bell pepper and 3 to 4 minced clovers of garlic in 1 tablespoon melted butter. Add1 can stewed tomatoes, 1⁄2 cup Suan’s® Scotch Bonnet Sweet Tomato Jam. Simmer until thick and then baste meatloaf every 10 minutes until done. This recipe can be frozen before baking or when finished. 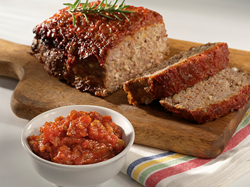 For meatloaf, combine all ingredients, form into loaf shape; freeze in re-usable plastic bag. When ready to use, thaw completely and bake as above or if pre-cooked re-heat in microwave or in a covered pre-heated dry heavy skillet until done. For basting sauce complete first step of sautéing onions, peppers and garlic, combine all ingredients and pour into re-usable plastic bag. When ready to use, thaw in heavy saucepan and cook as directed. Follow basting directions as above. Providing a marketing and promotional platform to assist more than 60 Oklahoma food manufacturers, the Made in Oklahoma Coalition builds brand preference and loyalty for members and its products. The MIO Coalition-member companies create a positive economic impact on the Oklahoma economy by employing more than 28,000 Oklahomans. The member- companies of MIO generate over $4.1 billion in annual sales for the state’s economy. The MIO Coalition continues to expand the footprint of Oklahoma’s food manufacturing sector through business retention and growth. For more information about MIO and its member companies, please visit http://www.miocoalition.com.